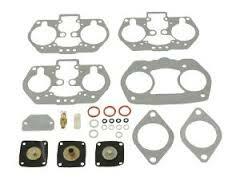 Basic Rebuild Kit for Weber 40-44 IDF carbs. One kit rebuilds one carb. Buy two to rebuild a pair. All parts pictured are included. This is a kit from EMPI.